This book examines seven of the most common spiritual traditions and how they use speculation, mysticism, and moralism to break Christianity. 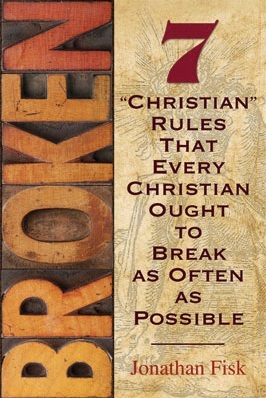 Author Jonathan Fisk calls them the seven “counterfeit Christian rules that every Christian ought to break as often as possible,” because they are seven myths that have infiltrated the churches in our age, seven teachings taught as if they were doctrine, but which are nothing more than the traditions of men. The dark secret of Christianity in America is that we are losing. We hide it with light shows, Christian dance and music, and video games, but it’s true. And it’s not new.